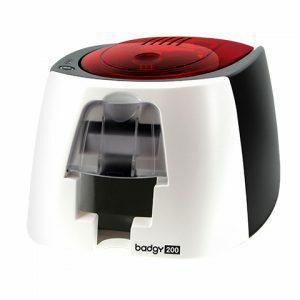 The Elypso printer was designed for all your individual plastic card printing and personalization needs: monochrome or color, with multiple encoding options. 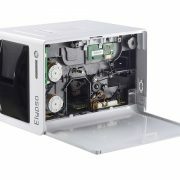 Specially developed for use at customer-facing counters, Elypso fits seamlessly with your existing systems and is your best choice for instant card personalization. Specially developed for use at customer-facing counters, Elypso fits seamlessly with your existing systems and is your best choice for instant card personalization. 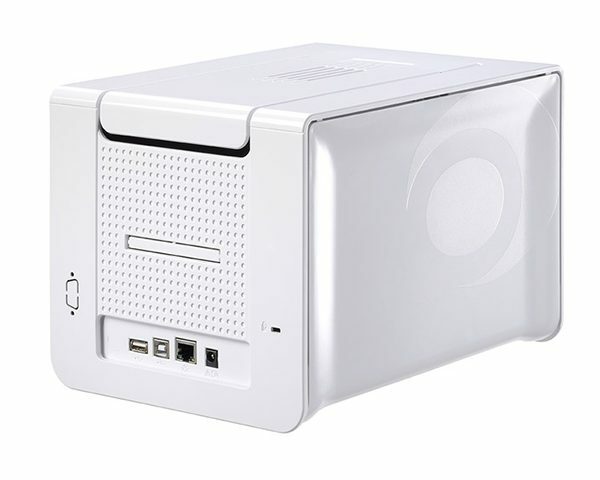 reduces the power consumption of its printers through a very economical hibernation mode. 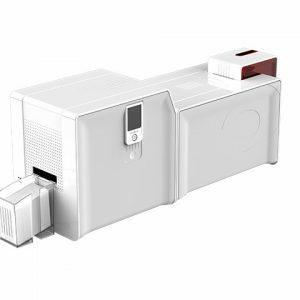 Elypso printers are fully modular. 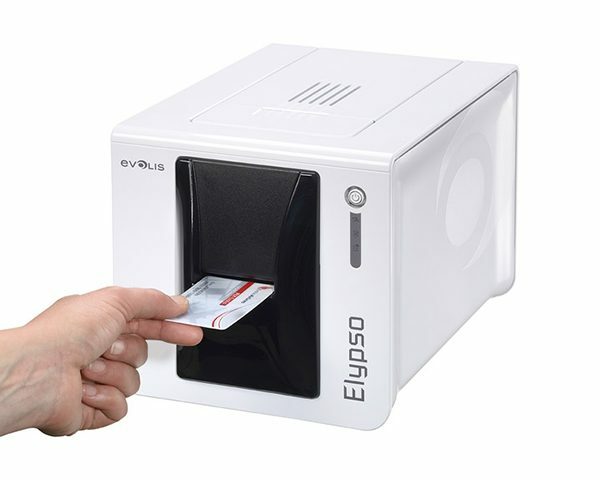 Not only can Elypso print either single or dual sided cards, it can also be equipped with encoders for magnetic stripe and contact and contactless smart cards. 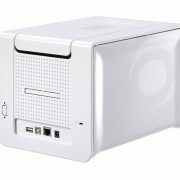 The software architecture of Evolis Premium Suite® was designed to make Elypso fit seamlessly with your existing computer systems. 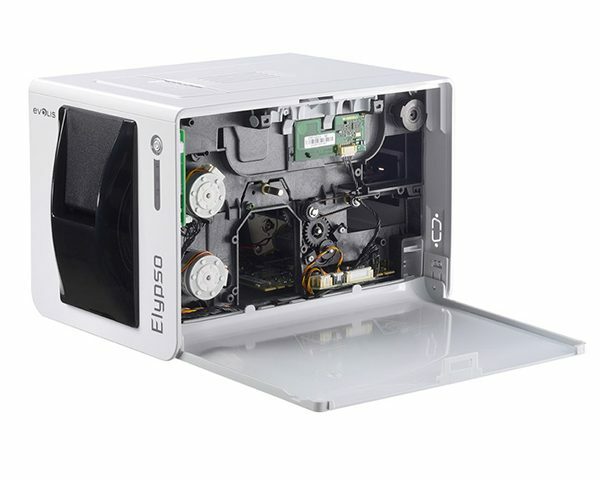 Elypso uses the same print engine as our Primacy printer, which offers photographic print quality (resolution 300 dpi). Optimal color rendering and edge-to-edge color or monochrome printing ensure professional quality cards. 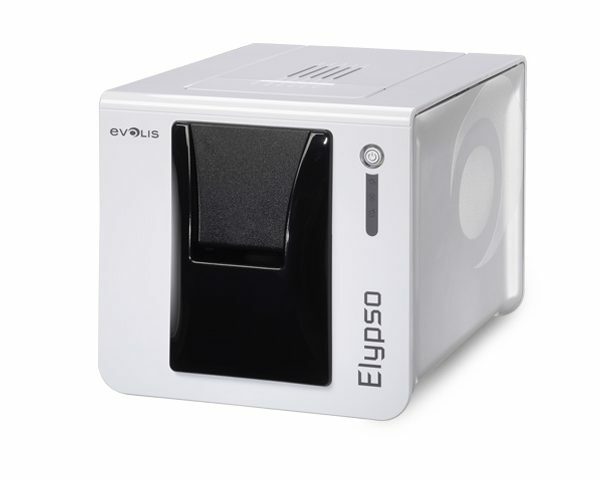 Very compact (barely bigger than a standard letter size sheet of paper) and quiet (48 decibels in operation), Elypso is discreet and has a small footprint. 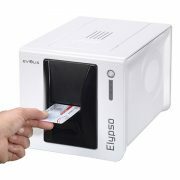 Elypso is so easy to use, you can start printing cards immediately. There’s no need to spend time and money on training. 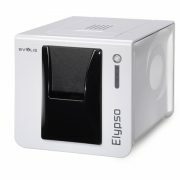 Thanks to Elypso’s unique front-loading design, insertion and retrieval of cards makes it easy to access even in tight spaces. 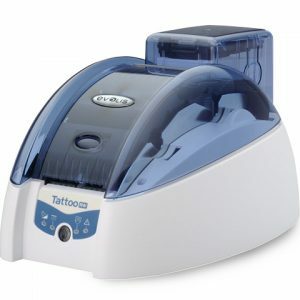 With the Evolis Premium Suite® software you can receive notifi cations and easily control the printer from your computer. 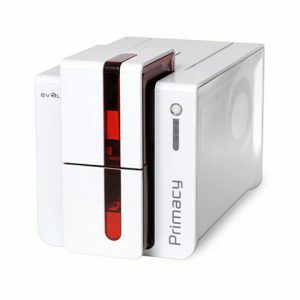 Evolis High Trust® printing ribbons are easy to install and automatically recognized by the printer. With Elypso, get a personalized dual sided color card in less than 30 seconds! Save time and impress your clients with fast card delivery, that will boost your organizations brand image. Elypso is designed with carefully selected materials, and our quality and compliance testing guarantee high reliability so you save on maintenance and/or repair costs. In addition, Elypso is upgradeable so you can manage your investment as your needs evolve. To maximise the quality and durability of printed cards, the lifespan of the print head and the overall printer reliability, use Evolis High Trust® ribbons.